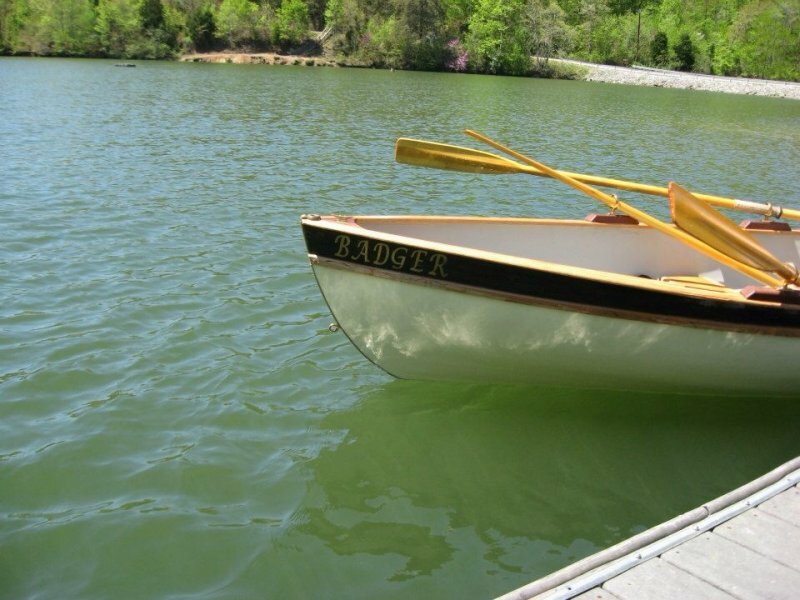 The launch of “Badger” was attended by family and friends at Clark Center Park in Oak Ridge, Tennessee. 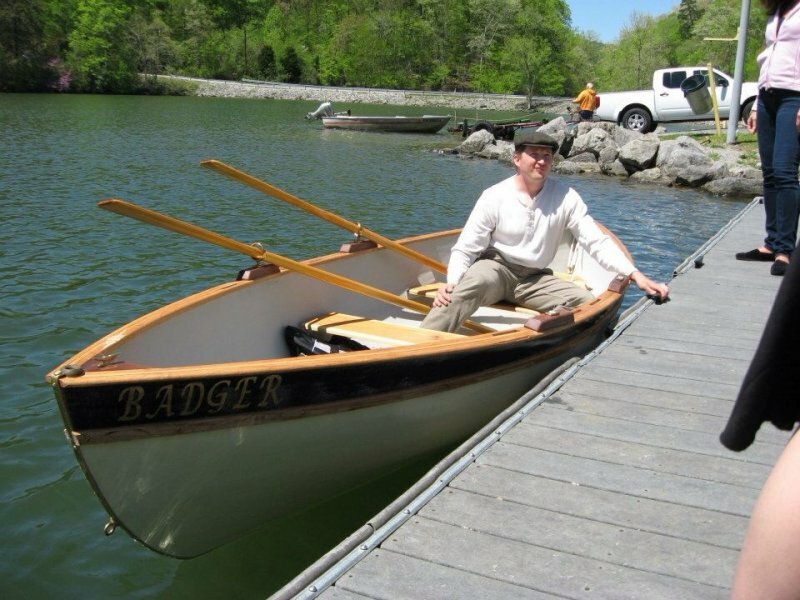 Badger’s design is based upon the lines and offsets from John Gardner's plans for a 14 foot rowing Peapod in his book, “Building Classic Small Craft.” In consultation with naval architect Paul Ricelli, the design was adapted for construction in 3/8 inch thick cypress strips, encapsulated in 10 oz fiberglass cloth. 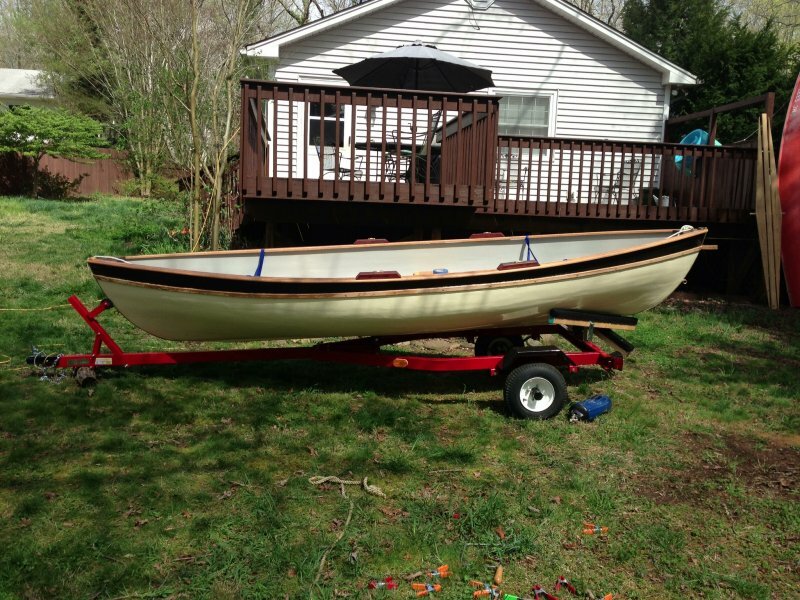 The keel is ash with red oak gunwales, pine thwarts, ipe oarlock pads and walnut breasthooks.